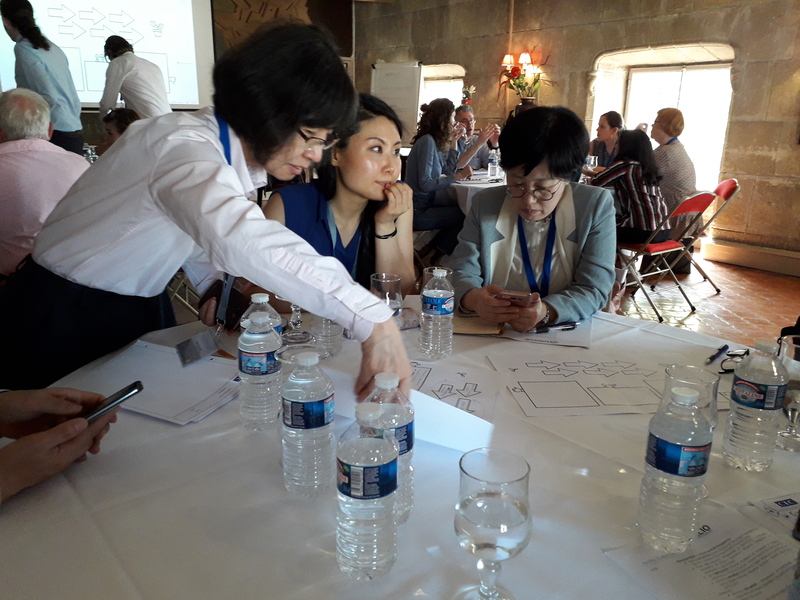 From 22 to 23 April 2018, EUROCLIO, with the support of the North East Asian History Foundation and the Evens Foundation Conflict Matters in History Education programme, hosted the first global workshop of the History Education Beyond Borders – Mapping and sharing global experiences in developing and implementing cross-border history education resources project in Marseille as part of the EUROCLIO Annual Conference 2018. The aim of this meeting was to share knowledge amongst these experts, identify best practices, and collect input for draft recommendations for future cross-border history education initiatives. During this unique gathering the experts from Bosnia and Herzegovina, Cyprus, Croatia, Estonia, France, Germany, India, Israel, Japan, Macedonia, Morocco, Pakistan, Poland, Portugal, South Korea and the United Kingdom, discussed the different ways in which the resources were developed, identified transferable do’s and don’ts to guide future projects, and reflected on shared challenges in the development process, as well as methods to overcome these challenges. The groups also shared their views on the extent to which the cross-border approach can contribute to promoting peace and reconciliation, to what extent the multiperspective approach to history education is suited to address sensitive and controversial issues, and how far strategies and approaches should be adapted to the societal context in which the projects take place. As a next step in the project, EUROCLIO will coordinate the development of the recommendations for future cross-border history education initiatives, make a public report of the meeting, and take stock of the wishes and needs of the global experts on how to continue to share practices and work together in the future. The full programme of this meeting, including an initial overview of the cross-border history education resources, as well as biographies of the experts, can be found here.